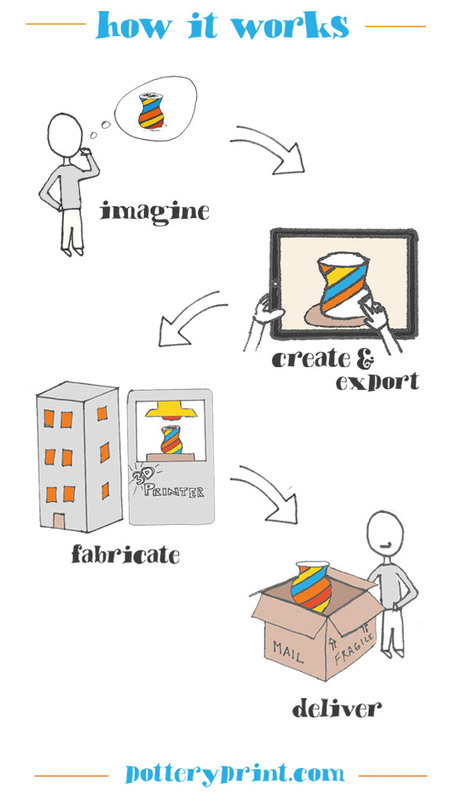 An iPad app that enables kids to design their own unique works of pottery and export the design for 3D printing. We wanted a way to introduce personal 3D printing to our kids without overloading them with complex design software. 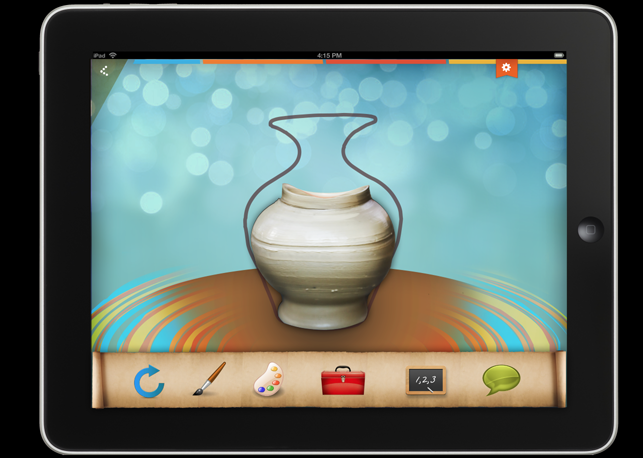 So, we are building an iPad app that lets young kids express their creativity designing pottery pieces that they can have printed in 3D. Not only will this get children excited about pottery as a skill, but it will introduce them to 3D printing as well. The app has two options. The first is a lesson-based game that teaches children about pottery techniques using an intuitive silhouette system. Each lesson presents a shaded outline of a new object to be created, and asks the child to fill in the outline using the clay. To guide them on their journey, the child is provided with plenty of audio and visual feedback. There’s even an audience that “ooh’s” and “aah’s” as they complete each task. 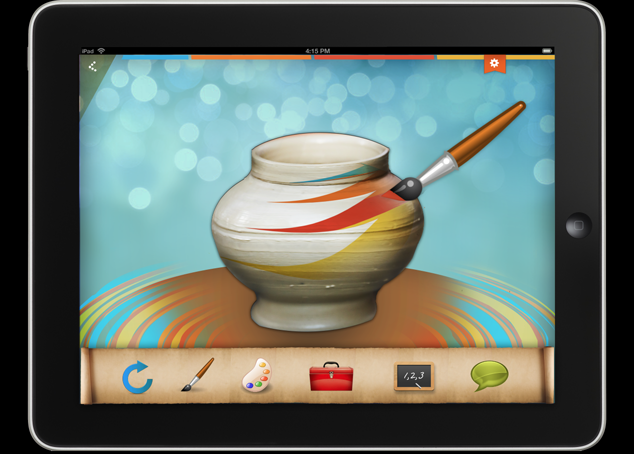 It’s fun, exciting, and it ends with an object that the user can customize, and even paint! The second option is what we call the “free-wheeling mode.” In this, users are given unlimited clay, brushes, tools, and their imagination is the only limit. At the end of both modes, the user is presented with the option to “print” their latest creation. Through video and graphics, the process of printing a 3D object is explained. Should you, as a parent choose to print a piece, the design will be sent to a 3D printer, and then arrive at your door in days! PotteryPrint is an easy way to equip our children with the creativity and skills they need to experience the 3D printing revolution in a real and meaningful way. We need your help to make it happen. We work day jobs. 100% of this money will be spent on the development of the app. And just to make sure your generosity doesn’t go unrewarded, we’ve lined up some sweet gifts as a way of saying thank you. Name added to list of supporters on website + insider update newsletter. The above + free download of PotteryPrint app when released.